Teaching reading is the absolute worst part of homeschooling. And you thought it would be math! Nothing is more tear inducing for a homeschool mom than listening to a child sound out the same word 20 times in a row. Of course, when that child sees the same word in the next sentence it has to be sounded out 15 times. No one warned me that teaching reading would be so hard. It’s a huge lesson in patience. I’ve lost my sanity about 50 times in teaching my oldest 4 kids how to read. I’ve found the one thing that keeps me hanging on by a thread. It’s our very favorite reading program, All About Reading. You might have heard me talk about it before. Well, I’m back to tell you even more! I want to share an inside look into level 3. What does this level cover? There are 16 new phonograms that are introduced in this level. Some of them are: OO, OW, IR, EA, TCH, and DGE. The program also introduces prefixes. (Yikes! These were challenging for my kiddos). There are also several lessons about syllable division. Ok, I never learned these things in school, but they sure are helpful to know! Did you know that in a word you find two vowels and then see if they have two consonants between them? If they do, then you divide between those consonants. And if there’s only one consonant between them, that consonant usually goes with the second syllable. Then if there are three consonants, you usually divide after the first consonant. Mind blown! All the information for each lesson is contained in this helpful guide. And the lessons are somewhat scripted in that they tell you what to say or what questions to ask. This program is truly so easy to use! I appreciate how little planning it takes, since I can just open the teacher’s manual and start teaching a lesson right away. Bonus: I get to learn alongside my kids! This contains all the games and fluency pages for each lesson. Yes, every lesson has a fun paper game to go with it to help reinforce the concepts learned. There are also fluency pages for the lessons. These pages have words, phrases, and sentences to give the child more practice for each lesson. There is also a warm-up sheet to practice words and phrases before reading each new story in the reader. The program comes with magnetic letter tiles. These are perfect to stick to a whiteboard, or you can do what I do, and put them on jelly roll pans. We make words and practice sounding them out or dividing them into syllables with these letter tiles. This makes the program hands-on and fun – and it’s great for kids who aren’t ready to do a lot of writing. It’s more fun to build words with the tiles anyway! There are yellow phonogram cards to help practice each letter and letter team. I use these as flash cards and we review all of them every single day. It has been tremendously helpful for my kids to remember all the sounds. There are several word cards for each lesson. These are common words that correspond to the concept being taught in the lesson. I use these kind of like flash cards. I grab a handful of cards each day and my kids have to practice sounding them out. Soon they do recognize some of them by sight, but my goal is to help them feel confident sounding words out quickly. These are my favorite part of the program! Each story only contains words that the child should be able to sound out after completing corresponding lessons. These are actual phonetic readers (which are nearly impossible to find)! My kids are so proud to have stories that they can read with very little help from me. And the stories are pretty cute too! How does a lesson look? Day 1: We begin a new lesson which introduces a new phonogram team. We practice the concept by building words with the letter tiles. Then we play the game that corresponds to that lesson. Next, we review the phonogram and word cards. And to end the lesson we read the first fluency page for that lesson (most lessons have about 2 pages of fluency sheets). Day 2: We review the lesson concept and play the game again. Then it’s time to review the phonogram and word cards. Lastly, we read the 2nd fluency page. Day 3: We review the phonogram and word cards to start our lesson. Then I introduce our new story and we read the warm-up page for the story. At the end of the lesson I let my kids pick one of the games from a previous lesson to play as a review. Day 4: We start with the phonogram and word cards again. Then we read the story for the day. Once we’re done with the story, we end our lesson because the story usually takes about 10-15 minutes to read from beginning to end. Of course, there are days that I have to repeat parts of a lesson or do more intensive review. And we also periodically review the stories in the readers. However, the program has been very incremental and my kids are able to move through it at a fairly steady pace. The lessons only take us about 20 minutes – that is all the patience I have for a reading lesson. And it’s the maximum of my children’s attention span for reading time anyway. I’m so thankful that I found this program! It has been a huge blessing in our homeschool and has helped my struggling reader tremendously – and has been a wonderful fit for my eager reader too! But don’t take my word for it! You can see this program in action in the below video. I asked my 8-year-old daughter to help me demonstrate a lesson. And she shares some of her favorite things about the program. You don’t want to miss it! ← Should You Homeschool Year Round? Bea, what a fantastic job! You are reading so well. Thanks so much for helping your mom with this video–I loved seeing a “typical day” with the program in your home. Lexi, great video! I love that when Bea hesitated on the word flurry, you explained that word to her so she would know what it meant. This video was a great peek into your day. Your daughter is adorable! Thank you!! She has worked so hard on her reading skills and has come so far in such a short time. I’m so excited about how well the program has worked for us. She is now a confident reader and is taking on longer books. I hope the video is helpful for others who are interested in using the program. I always love seeing what a lesson would look like with a specific program. 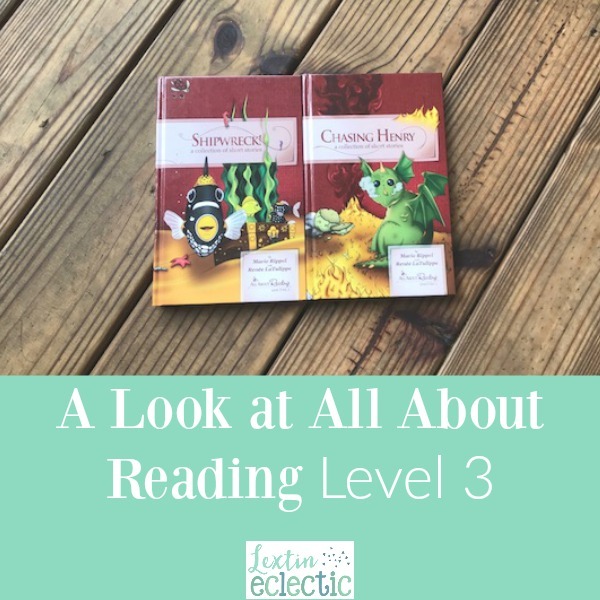 Can’t wait to use Level 4 next year and see how well my kids are reading after we finish! Great overview. I really appreciate the day by day lol into how you implement it. Thank you! We have really loved this program. It has been great for several of my kids and they are all learning to read well. I love when I find a program that works for different children and different learning styles!